Since this article was first published, City of Angels has opened at the Donmar Warehouse to rave notices. My 5* review of this outstanding musical can be found here. The virtually sold out City of Angels is currently previewing in the intimacy of London’s Donmar Warehouse. As rehearsals were drawing to a close last week, I spent a delightful evening at Joe Allens with acclaimed choreographer Stephen Mear, to learn a little more about this man’s remarkable career and achievements. As 2014 draws to a close, Mear is likely to have had the rare distinction of having choreographed two of the year’s most highly acclaimed musicals this side of the Atlantic and both away from the mainstream thrust of the commercial West End. As well as the buzz surrounding City Of Angels, he has only recently returned from a brace of theatrical excellence at Chichester. His work on the movement in Rupert Everett’s Amadeus that opened the re-built Festival Theatre was a gorgeous treat of rococo splendor, whilst his choreography of Jonathan Kent’s production of the Sondheim & Styne Gypsy, a giant of a show with a cast led by Imelda Staunton with Lara Pulver, has contributed to the production being hailed as a “once in a lifetime” event. A lean and incredibly athletic 50 year old, Mear speaks of his influences, with his career stretching back to performing in the early years of the original productions of both Cats and Evita. He has both worked alongside and assisted many of the dance greats having known Fosse, worked with Gillian Lynne and counts Broadway’s (and lately the West End too) Susan Stroman as a close friend. And it is probably that rich breadth and depth of Mear’s experience that makes the quality of his work so distinctive. We both recall Richard Eyre’s seminal and groundbreaking Guys And Dolls at the National Theatre in 1982, where Mear was to find the late David Toguri’s choreography an inspiration. That introduction to Eyre's musical theatre style was to plant the idea in Mear's mind of working with the director in later years. 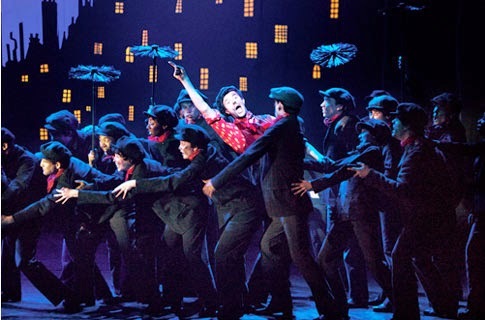 Alongside Matthew Bourne, Mear choreographed Eyre’s multi-million Disney-dollar Mary Poppins. That dance pairing was to prove sensational, with Mary Poppins winning the 2005 Olivier for choreography before going on under the same creative talent to garner a Tony nomination two years later in New York. The vision behind that show was unique - Who can forget Gavin Lee, upside down, tap dancing his way across the top span of the Prince Edward Theatre's massive proscenium? At this point Mear confesses: he is afraid of heights. In rehearsals a swing had been constructed especially for him, to allow the dance maestro to be suspended from the stage upside down alongside Lee. The height proved too much for Mear and he was swiftly returned to terra firma, but it says much for his perseverance and commitment that he even permitted himself to be hoisted aloft at all. The Eyre association continues to this day with Mear having worked alongside Sir Richard on Betty Blue Eyes as well as the short-lived Andrew Lloyd-Webber and Don Black offering, Stephen Ward. 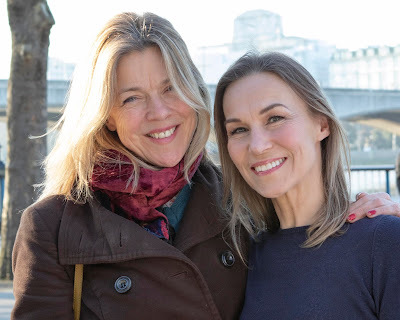 Mear looks back appreciatively on that show, especially upon being able to have worked again with the likes of Jo Riding and for the first time having the opportunity to have worked with Lloyd-Webber. Eyre was to hire Mear again last year for Chichester's charming revival of The Pajama Game, a show that was to see a 2014 transfer to the West End - and as Gypsy prepares to land at the Savoy Theatre next March, allowing Mear's glorious work to be shared with the wider audience it deserves, the theatre world is abuzz with what is likely to be the 2015 musical theatre revelation… It's Chichester again, this time producing the Jerry Herman stunner Mack & Mabel, with Michael Ball lined up to play Mack Sennett, the genius director of two-reeler silent movies. Again Mear will be responsible for the dance and in a show that offers a famously perceptive and sometimes dark commentary upon the early years of Hollywood, personally I cannot wait to see Mear's take on the slapstick comedy that underlies the brilliantly maverick number Hit Em On The Head! But right now, amidst the season of tinsel and glitter, the talk of the town is of a show that focusses upon Tinseltown's darkest side, the noir of the 1940s styled City Of Angels. Billed as a musical comedy, the show reflects two parallel plots - a writer desperate for his screenplay to be produced woven together with the fictional story that he is creating. It's a world of gumshoes, hazy cigarette smoke and sleazy intrigue and its been a good 20 years or so since the Prince of Wales theatre last gave the show a West End outing. City of Angels marks Mear's first time working at the venue as well as alongside director and the Donmar’s Artistic Director Josie Rourke. Another first is that City of Angels is Rourke’s entrée into musical theatre and Mear speaks glowingly of her approach. "She's amazing and hasn't missed a trick" he says, adding that the acclaimed director, some years his junior, believes in a constructively collaborative approach to planning the show. Mear adds that City of Angels is a show not famed for its dance routines - yet without giving too much away, talks excitedly about his staging of the Prologue and refers to how the casting of the show will complement some of the plot's darker racist undertones. Mear is also fortunate in having been gifted a platinum-plated cast to work with. Hadley Fraser who numbers amongst the cream of his generation is playing the writer Stine, whilst his on-stage wife Gabby is played by real life (and newly wed) missus Rosalie Craig, another British musical theatre A-Lister. That the cast also includes Peter Polycarpou as movie mogul Buddy Fidler only appeals further to Mear - he worked with both Polycarpou and Fraser on The Pajama Game, gleaning a thorough understanding of these performers’ potential. 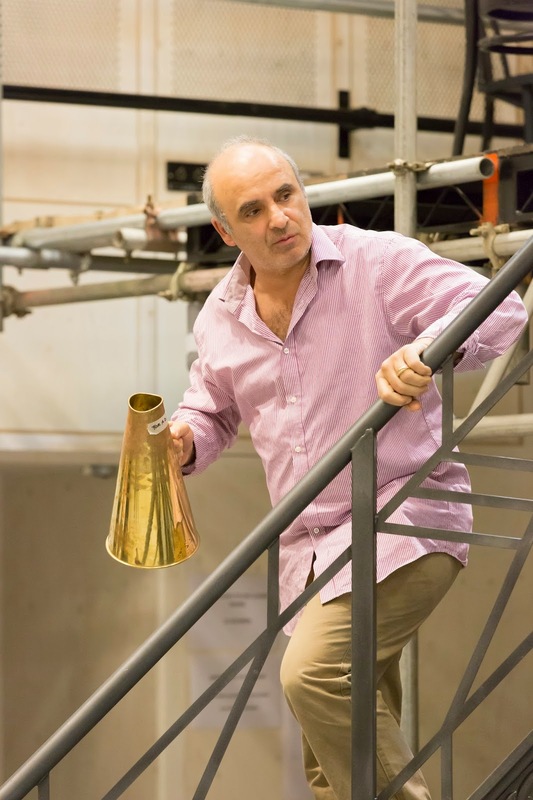 With Katherine Kelly, Samantha Barks and Tam Mutu also on the bill, Mear truly feels spoilt with the talent that he has been blessed to work with. Mear’s talent know no bounds and this piece has not even mentioned his New York achievements with Disney’s The Little Mermaid on Broadway, nor his acclaimed Die Fledermaus last year at the New York Met. The list is endless. For now though, its all about shoehorning the immense craft of this lord of the dance into the bijou confines of the Donmar. City of Angels will be a sassy show performed by the cream of the industry’s talent and in a production sculpted by the finest creatives. What a fabulous way to see in the new year! City of Angels plays at the Donmar Warehouse until 7th February 2015. The production is sold out, however a number of Barclays Front Row seats are released for sale each Monday and a limited number of seats can be purchased each day at the box office.